Let’s spend 24 hours in Washington, D.C.! Doesn’t it sound like a daring adventure and a perfect opportunity to explore the capital of the United States? It surely does. Especially when you are a first-time visitor, and, on top of that, a solo traveler. Named after the first president of the US George Washington, Washington, D.C. is one of the most important and influential political capitals of the world. Moreover, by virtue of its impeccable neoclassical buildings, statues, and monuments, the city hosts over 20 million visitors every year. People from all over the world come here to admire the stunning architecture and show respect to the American capital. Luckily, exploring D.C. and its numerous sights is easy due to the city’s walkability and excellent public transportation. However, as a first-time solo visitor, spending only 24 hours in Washington, D.C., I solely relied on my feet and “almighty” Uber. 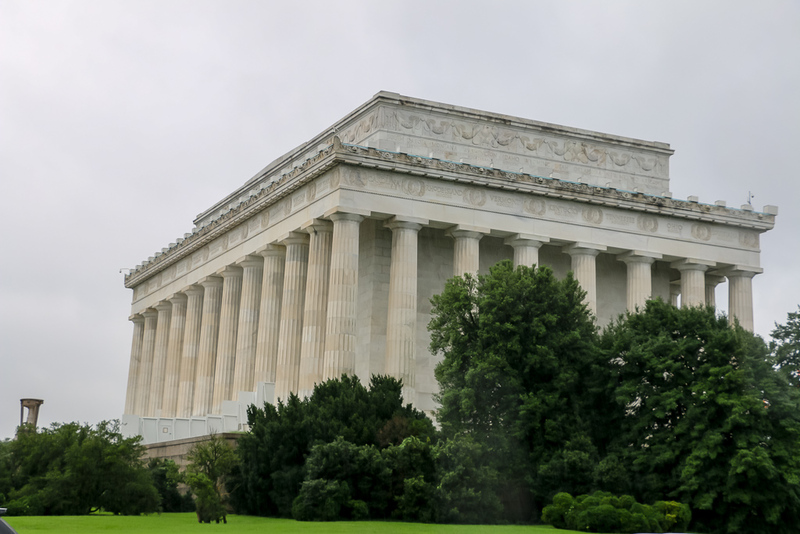 Being able to cross off all but two items on my itinerary (I have to admit, I get pretty competitive when it comes to travel), I have compiled a list of things to do when in Washington, D.C. The famous Lincoln Memorial is one of the first sights you want to visit. First thing first, you absolutely must visit Lincoln Memorial and pay tribute to the 16th President of the United States. Towering over the Reflecting Pool, the memorial is a beautiful and powerful reminder of what one man is capable of. Great turmoil, political crises, and the bloodiest Civil War did not stand a chance in the face of the great leader. A ruler who now sits as a 19-foot tall, 175-ton statue inside the memorial. With famous inscription behind his statue and two of his greatest speeches on the north and south walls, Lincoln’s legacy has never faded. Even today he still speaks to the nation. Another place to visit in 24 hours in Washington, D.C. as a first-time solo visitor is the infamous Vietnam Veterans Memorial. The spectacular three-part structure honors members of the U.S. Armed Forces tragically perished in the Vietnam War. Moreover, each separate feature of the monument praises particular category of the Vietnam War veterans. So, the Vietnam Veterans Memorial Wall, the most popular of the three independent parts, lists over 58,000 names of the deceased or missing soldiers. Being able to reflect images of the visitors along with the engraved names, the wall creates an acute sense of reality, undivided realm of the past and presence. 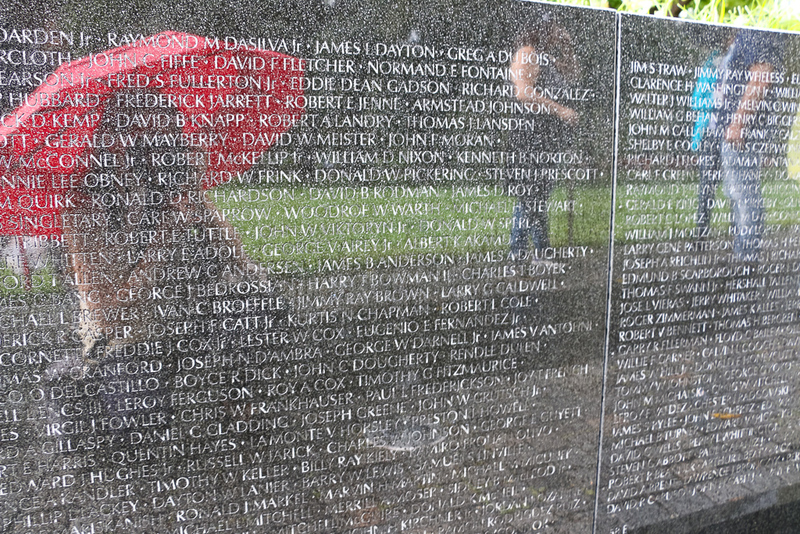 Vietnam Veterans Memorial Wall is lists over 58,000 names of deceased or missing soldiers. Not less favored, the Vietnam Women’s Memorial pays tribute to well over 200,000 women served in the Vietnam War. Mostly nurses, these women came together to assist the soldiers during the difficult time of the war. As the statue, depicting tree women and a wooded soldier, suggests these tireless ladies united their forces to make their best contribution toward the end of the war. The third part of the memorial is a bronze statue of The Three Soldiers. Standing tall, each of the soldiers seems to look at the memorial wall. Quietly and endlessly, they relive the horrors of the war and commemorate their lost comrades. I almost left it out of my 24 hours in Washington, D.C. itinerary. For some reasons, seeing memorials after memorials felt a bit like going through pages of a history textbook. 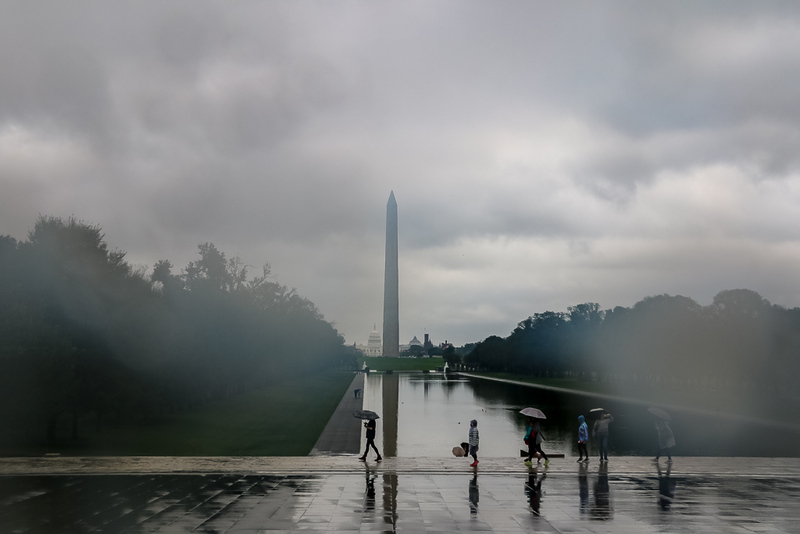 But at the last moment, I changed my mind and scribbled “National World War II Memorial” on my “24 Hours in Washington, D.C. as a first-time solo visitor” list. And frankly, I am glad I did it. 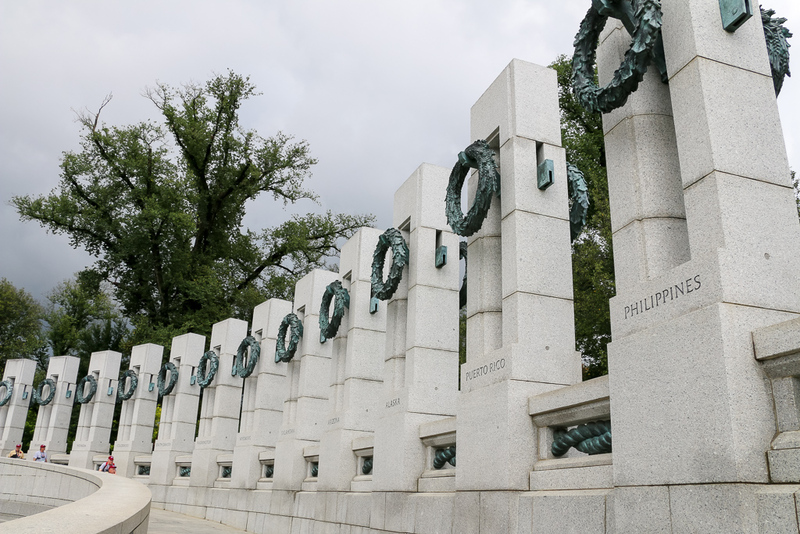 Located at the end of the Reflecting Pool across the Lincoln Memorial, the National World War II Memorial is one of the newest structures on the National Mall. Dedicated to over 16 million people affected by the war, the memorial symbolizes unshakable faith, courage, sacrifices, and victories. The architecture of the monument is very unique. 56 pilings, representing the states and territories of the US at that time, make a perfect circle with the stunning Rainbow Pool in the middle. In addition, the absence of ceiling and walls make it accessible to the public 24 hours a day, seven days a week. The Washington Monument is the tallest stone structure in the world. Washington Monument is undoubtedly a must-see place in 24 hours in Washington, D.C. as a first-time solo visitor. The tallest structure in the city after radio tower can be seen from far. The raising to the sky obelisk is 555 feet tall and was built in 1884 to commemorate George Washington. Once a world’s tallest structure, the Washington Monument is still recognized as the tallest stone column on Earth. Nothing less than that to embody appreciation, respect, and gratitude toward the nation’s most significant Founding Father. Just like the Washington Monument, the White House is an absolute must on your 24 hour-excursion to Washington, D.C. One of the most important symbols of the free world, the White House has been an official residence and workplace of the US President since 1800. Located across the street from Lafayette Square, the main building of the country cannot be approached or entered without prebooked White House tour. Usually you reserve your spot on a tour by contacting your senator with such a request months and months in advance. 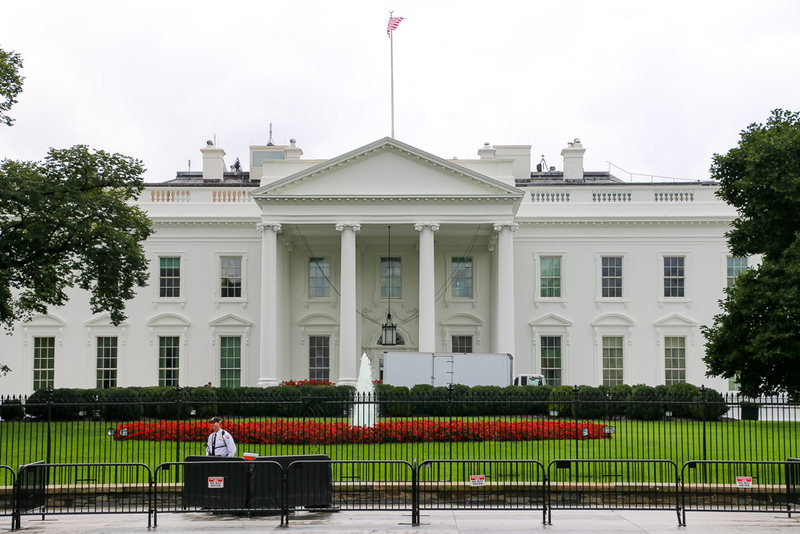 Nevertheless, with a tour or without a tour, the White House should be your top priority during 24 hours in Washington, D.C. as a first-time solo visitor. The United States Capitol is arguably the most splendid building in the city. Or at least this is what I felt standing in front of this spectacular structure. I remember saying to myself that it surely looked more impressive than the White House. The Capitol Building is also one of the most significant places in the country. 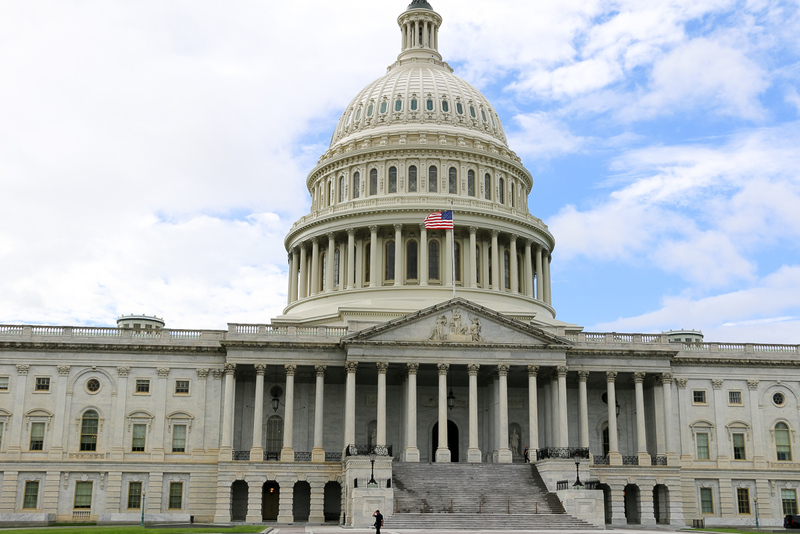 Next to the White House with its executive branch, the Capital is home of the United States Congress – the legislative branch of the government. Unfortunately, during one-day trip to D.C., the chances are, you will not be able to see debates between two parties of the Congress. But you can still visit north and south wings, along with central rotunda of the buildings. Make sure to reserve your spot in advance, although it is not required. 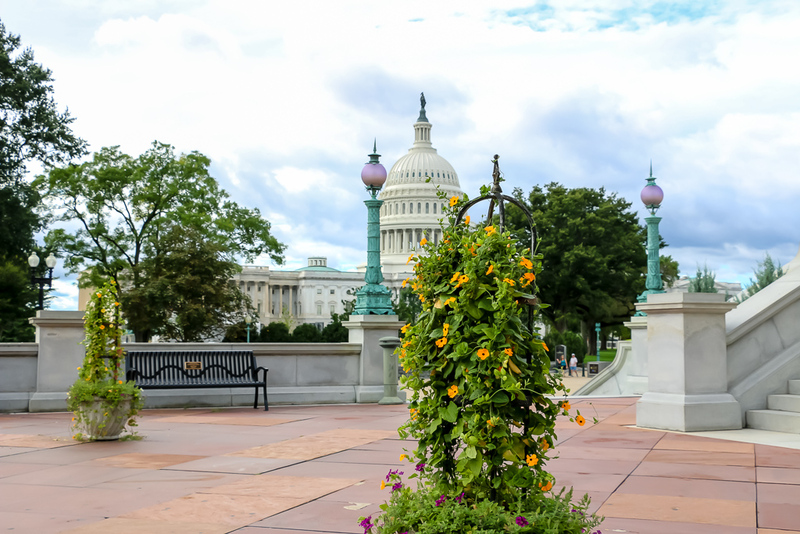 Just across the street from the United States Capitol, you will find the Library of Congress. Located in the Thomas Jefferson Building, the library is the oldest cultural institution in the US and the largest library in the world. 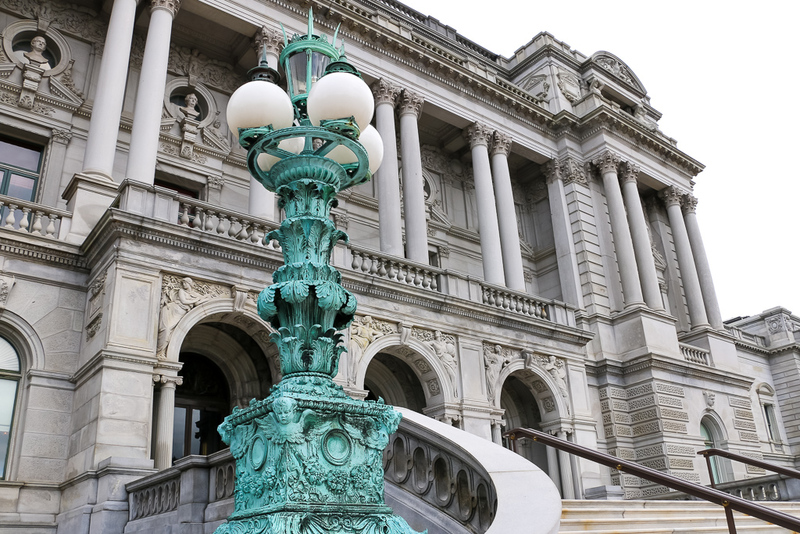 With over 167 million items in approximately 470 languages, the Library of Congress serves as the major research library nationwide. To the right of the Library of Congress, the judicial branch of US government finds its permanent home. 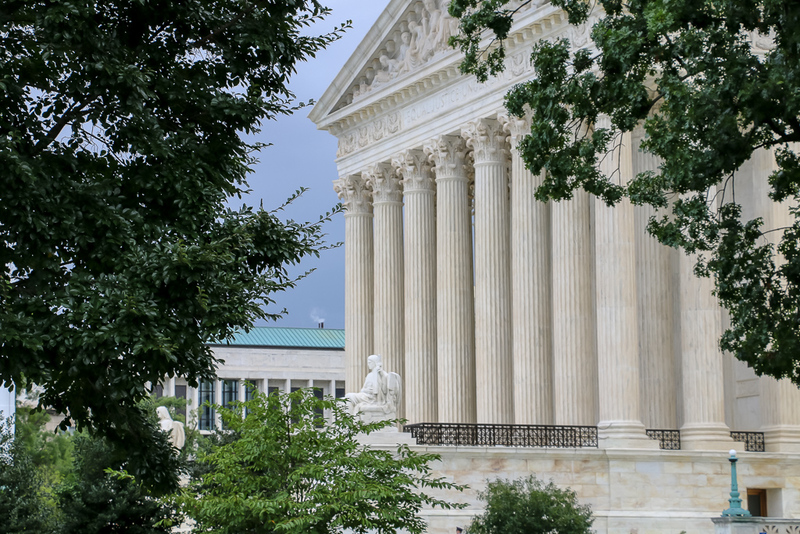 Taking its name from the Supreme Court of the United States, the Supreme Court Building cannot escape your attention thanks to its sheer resemblance to a Roman temple. A great flight of broad steps leads to portico of tall Corinthian columns, signifying the magnificent and power of the place. Two seated statues on the sides of the front stairway remind the visitors that behind these doors justice and nothing else prevails. Located on the National Mall, between 3rd and 9th Streets, the National Gallery of Art is an artsy paradise for experts and amateurs alike. The Gallery consists of two buildings. The East Building pays special attention to modern and contemporary art. While the West Building houses collection of older works with emphasis on Botticelli, Monet, Rembrandt and many other European and American artists. There is no entrance fee. However, you might want to limit the time spent here to no more than two hours. 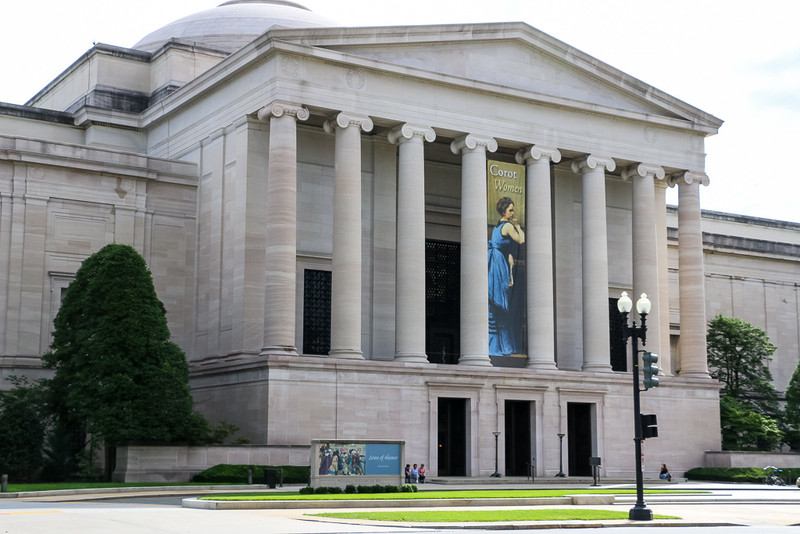 There are still a lot to do in 24 hours in Washington, D.C. as first-time solo visitor. The Smithsonian Institution Building or Castle is, in the words of its French-born, British-raised benefactor James Smithson, “an establishment for the increase and diffusion of knowledge”. It is quite a mystery why Smithson who never visited D.C. left his substantial fortune to a capital of a foreign country. Nevertheless, the Institution was officially created in 1846 and has been an essential part of the cultural life of the city ever since. 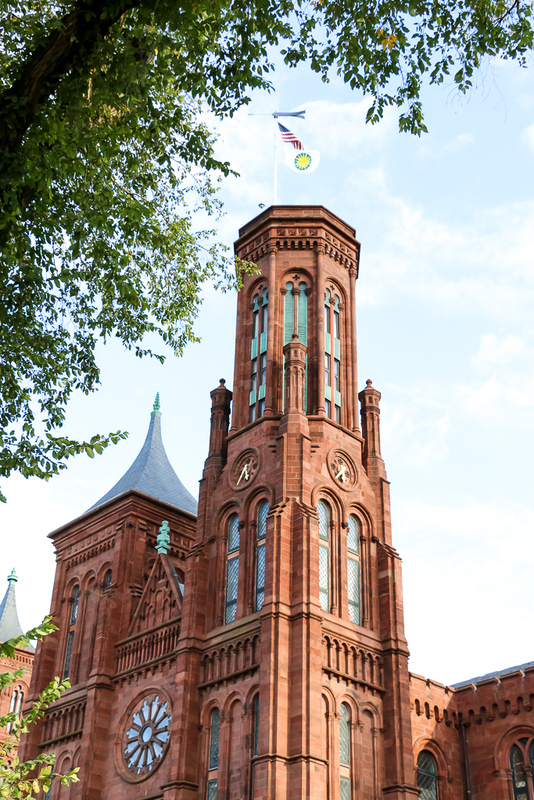 Transformed into a modern visitor center, the Castle provides its guests with the detailed information and direction to the 17 DC-area Smithsonian Institution properties such as museums, galleries, and the National Zoological Park. In addition, a few Castle-based exhibits unveil history of the Smithsonian Institution Building and its benefactor. Like all Smithsonian museums, the admission to the Castle is free. 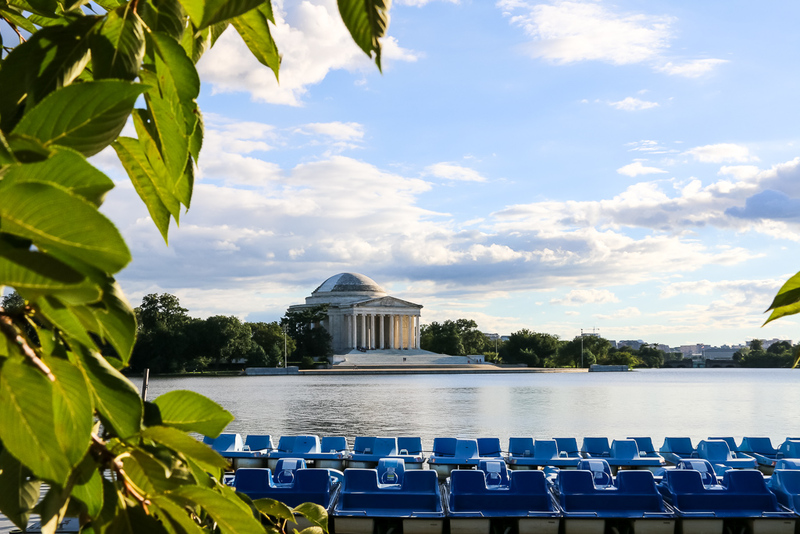 World-known for the National Cherry Blossom Festival held each spring, the Tidal Basin is a two-mile-long reservoir between the Potomac River and the Washington Channel. Many great sights of the city surround the basin. According to some visitors, the best way to explore the basin is to follow a broad path around the pond. The latest trend, however, includes crossing the basin in a paddle boat. You can rent a boat from March 15 through October 9 from the boat dock near Maine Avenue. On the southern side of the Tidal Basin, the famous Thomas Jefferson Memorial faces the still water. 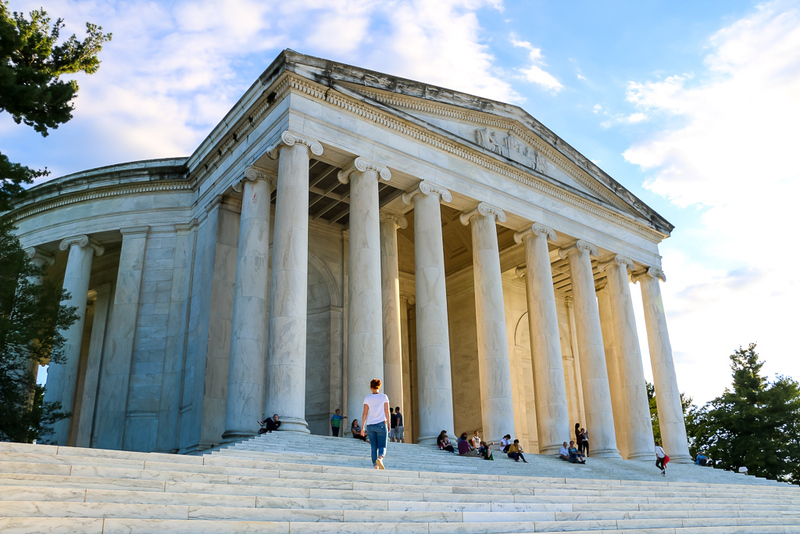 Magnificent in style and architecture, the memorial is an open-air columned structure with Jefferson’s statue inside. The location of the memorial deserves special laurels, as well. Seen from all edges from the basin, it allures many visitors that sit on its massive steps and watch sun leisurely bathing in the water. 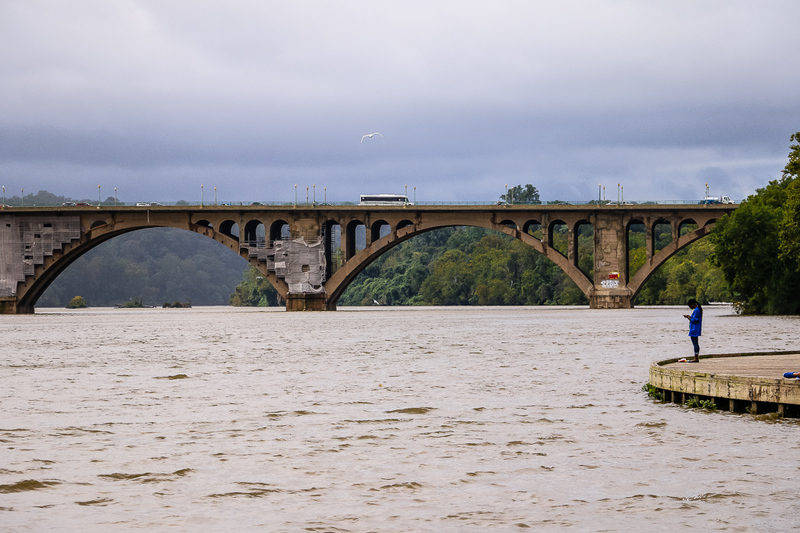 Stretching along banks of the Potomac River, the Georgetown waterfront park offers a much-needed escape from the bustling city. You can take it easy or do quite the opposite. From walking to running, biking, and paddling, sunset and sunrise watching – the park leaves nobody behind. 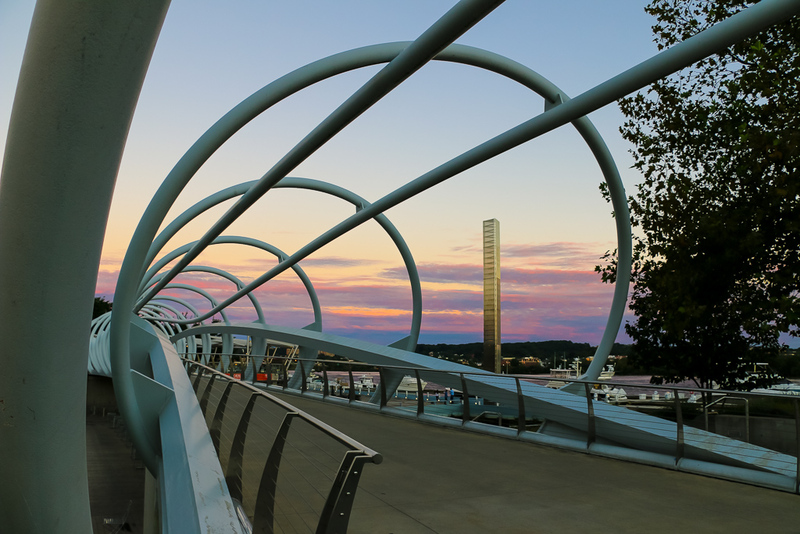 With plenty of recreational activities and gorgeous scenery, the Yards Park is a must-see destination during your 24 hours in Washington, D.C. Sitting on a bank of the Anacosia River, the park amuses its visitors with large grassy area and Dancing Fountains. Kids enjoy splashing the water in a small pool. Abundance of restaurants, numerous festivals and events keep every adult satisfied. And, of course, do not forget famous sculptural bridge. As a first-time solo visitor, I could not find a better place to complete my one-day Washington itinerary. With a bottle of Kombucha, I sat on the bank of the river and watched a paddling team. Vigorously crossing the blue waters, they soon became a small dot against pink sunset… Could it be any better? Looking back at my 24 hours in Washington, D.C. as a first-time solo visitor, I cannot not pat myself on the back. “You did a great job!” Let’s be honest, it is way too many places that one can handle in one day. On top of that, tiredness from a lot of walking is guaranteed. But with some advanced planning, always useful Uber, and adventurous spirit, nothing is impossible. When you have only 24 hours in Washington, D.C., make the most of them.